Add safer, something that Subaru has been focusing on in recent years. It has received the Insurance Institute for Highway Safety’s top ranking for 14 consecutive years. However, that isn’t enough. 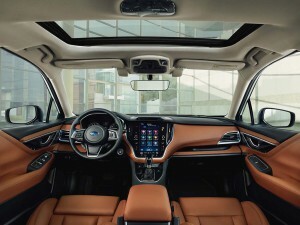 The new body is said to be able to absorb about 40% more crash energy, and that’s enhanced not only by the use of eight airbags but by Subaru’s latest version of its EyeSight Driver Assistance Technology. For the first time in a U.S. model, the 2020 Subaru Legacy adds lane centering capability. Also new for the gen-7 model is the Driver Focus Distraction Mitigation System which uses both a camera and facial recognition software to tell when a motorist is getting drowsy. If that happens it will issue a warning on the car’s 11.6-inch touchscreen. 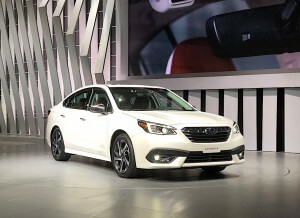 For those whose focus is on performance, the 2020 Subaru Legacy adds a new XT model which, for the first time since 2012, brings a turbo engine into the Legacy family. The 2.4-liter Boxer-four engine makes 260 horsepower and 277 pound-feet of torque, delivering it through a Lineartronic CVT to all four wheels. The XT is capable of hitting 60 in 6.1 seconds, according to Subaru. All versions of the 2020 Legacy feature all-wheel-drive. That includes the naturally aspirated 2.5-liter Boxer-four engine standard on the rest of the line. Though that may seem familiar, Subaru notes that this engine has been thoroughly redesigned for 2020, with 90% new parts and now, direct-injection. It makes 182 hp and 176 lb-ft, enough to hit 60 in 8.4 seconds. Like the turbo package, it is paired with a CVT gearbox. All versions of the new Legacy are now all-wheel drive. 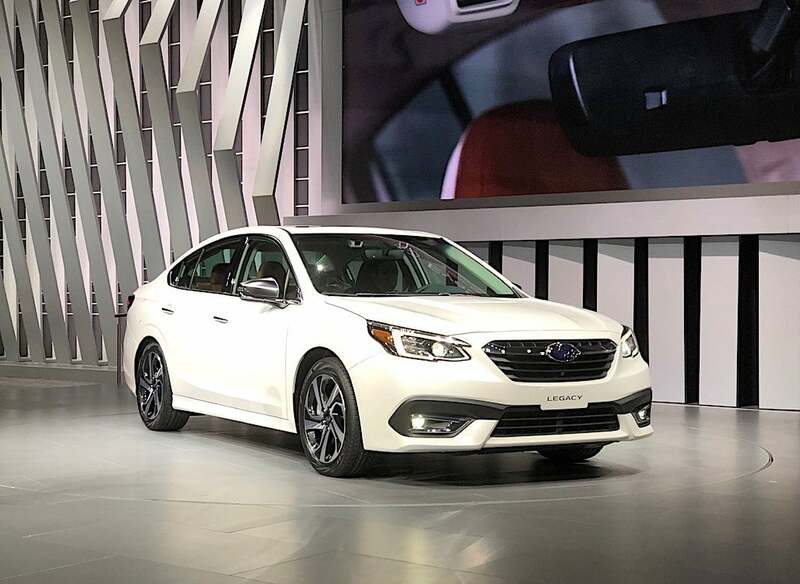 The new active safety systems underscore the increased focus on high-tech features found on the 2020 Subaru Legacy. The new model even gets NFC, or Near Field Communication, technology to simplify phone pairing for hands-free operation. 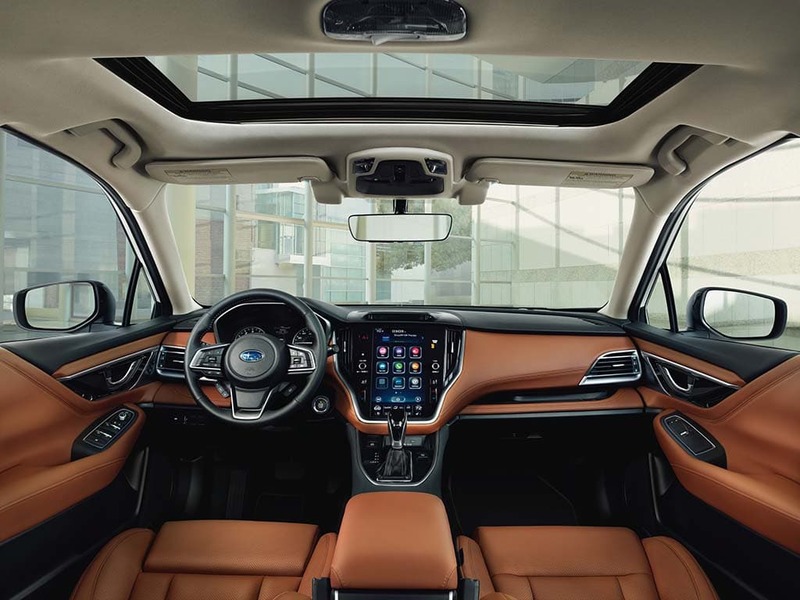 “A Subaru-first split-screen display can simultaneously show two types of information – e.g., navigation and audio – for improved user interaction,” the carmaker adds. There are new infotainment and telematics features and, for the first time, the Legacy adds 4G LTE onboard WiFi. There’s a new audio system upgrade and even the power seats have been upgraded. 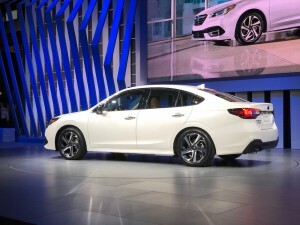 Visually, Subaru set out to give the 2020 Legacy a more aggressive design, based on an internal design theme dubbed “Bold in Movement.” There’s a new, frameless grille with an aircraft-influenced lower air intake. Wide fenders give the new model a more solid and planted look. As is the norm, Subaru plans to offer plenty of accessories such as roof mounting brackets, to make it easy to carry things as diverse as external cargo carriers and surfboards. This entry was posted on Thursday, February 7th, 2019 at and is filed under Auto Shows, Automakers, Automobiles, Business, Chicago, First Look, Infotainment, Markets, SUVs, Safety, Safety, Sales, Sedans, Subaru, Technology, Technology, Trends, U.S./North America. You can follow any responses to this entry through the RSS 2.0 feed. Both comments and pings are currently closed. I’ve yet to see a ‘new’ model that doesn’t claim that the chassis is ‘far stiffer’. You would think that by now chassis are about as stiff as they can get. It’s quite amazing how stiffness does improve model after model.